Chris Dyson Joins RML for Le Mans. Ahead of this weekend’s official ACO Le Mans Series test at the Paul Ricard circuit at Le Castellet in southern France, RML AD Group is pleased to confirm that Chris Dyson will be joining the team’s driver line-up for this year’s Le Mans 24 Hours. 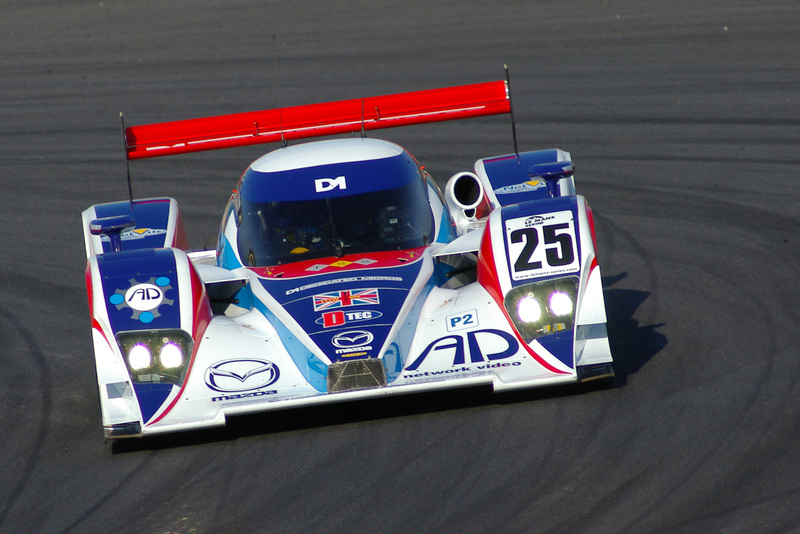 Lead driver and Sporting Director of Dyson Racing in the American Le Mans Series, Chris will be partnering regular RML drivers Mike Newton and Thomas Erdos in the team’s Lola-Mazda B09/86 Coupé for the two-day test, starting Sunday 8th March. “I am really thrilled to be returning to Le Mans with such a great team,” says Dyson. “RML has set the standard for LMP2 teams in Europe and I am hopeful that Mike, Tommy and I can take RML back to the top step of the podium at Le Mans this year.” RML won the LMP2 category in the Le Mans 24 Hours for the first time in 2005, with Warren Hughes as third driver, and then again in 2006 with Andy Wallace. Dyson Racing was founded 26 years ago by Rob Dyson, father to Chris, and has been a prominent competitor in the ALMS since 1999. Over the last two seasons Dyson Racing campaigned a pair of Porsche RS Spyders, finishing third in the 2008 ALMS P2 team championship, fifth and sixth in the driver’s championship, and helping Porsche to the manufacturer’s title. 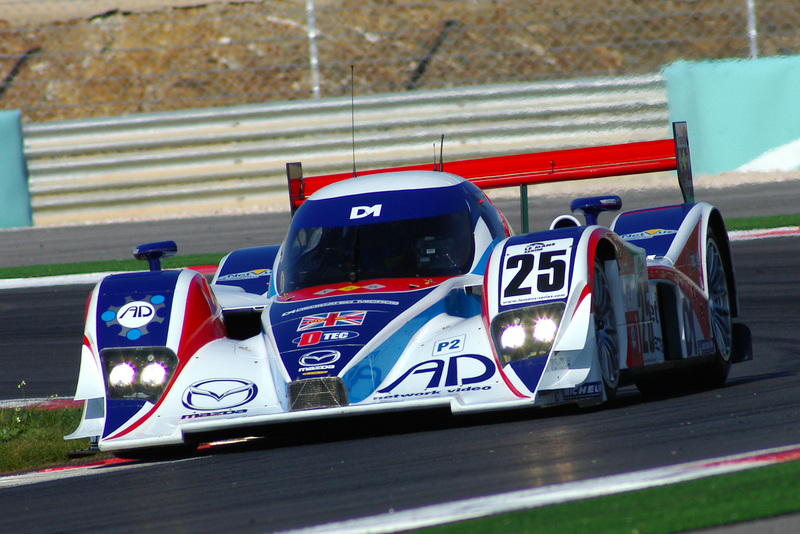 One month after RML announced a new deal with Mazda for the supply of engines for its Lola coupé, Dyson Racing confirmed that it too would be running two Mazda-powered Lolas in 2009. “Ever since Mazda began racing, endurance racing in general and Le Mans in particular has been a key element. Our historic win in 1991 still resonates with fans and Mazda employees around the world. 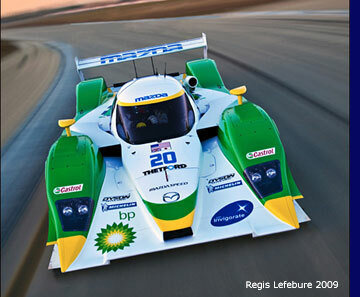 We’re thrilled to have RML and other teams running the Mazda MZR-R at Le Mans this year. 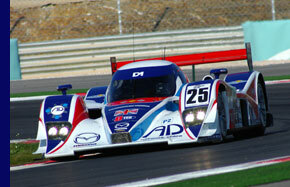 We’re also pleased to see the great cooperation between Dyson Racing and RML. This shared wisdom should help both teams,” noted Robert Davis, Senior Vice President, Product Development and Quality, and the man responsible for Mazda’s North American motorsports operations under the MAZDASPEED Motorsports Development banner. This season Chris Dyson will be partnering Briton Guy Smith in the #16 BP Dyson Racing Lola-Mazda B09/86 in the American Le Mans Series. The team’s second car will be shared by Butch Leitzinger and Marino Franchiiti. The team unveiled a new livery for the Lola-Mazda at the official Sebring test in February, and will debut the car at the Sebring 12 Hours, March 18-21. In 2008 Chris finished third in LMP2 at Sebring. This year’s 12-hour event will be the 100th race since the ALMS was inaugurated in 1998. 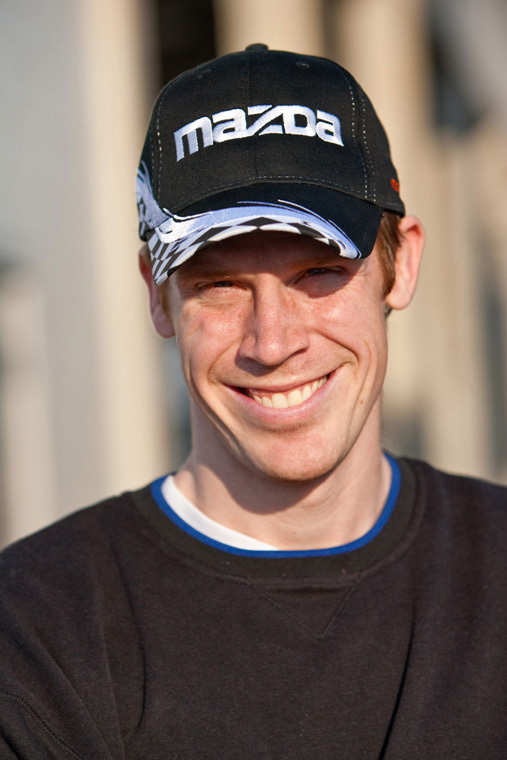 Born in 1978, Chris has been involved in motorsport since he was a child. Dyson Racing was founded by Chris’s father, Team Principal Rob Dyson, in 1985. 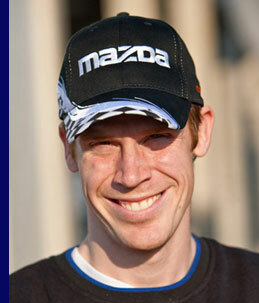 Chris not only co-drives one of the team’s two Lola-Mazda coupés, but is also Vice President and Sporting Director. Prior to finishing third in the race for the LMP2 team title in the 2008 ALMS, Dyson Racing concluded the 2007 season as runners-up in LMP2, with Chris Dyson and Guy Smith claiming fourth in the individual driver’s championship. Chris finished second in the ALMS LMP1 championship in 2005, up from fourth in the previous season. 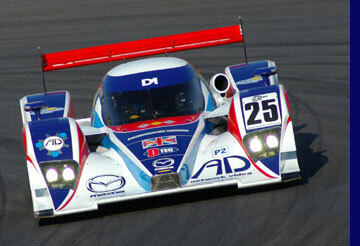 In 2003 Chris won the ALMS LMP 675 championship with four wins, including the class at Sebring. In sixty-four starts in the ALMS, he has sixty-four top ten finishes and twenty-six podiums to his credit. Chris has raced at Le Mans once before. In 2004 he joined Jan Lammers and Katsumoto Kaneishi in the Racing for Holland Dome-Judd LMP1 to finish seventh overall; the highest-placed American. AD Group: Pauline Norstrom, Director of Worldwide Marketing.